Unfortunately, I returned this towel. The edges were hemmed rather than the selvedged edge you get on the authentic Turkish towels. I was disappointed with the quality of this towel. I really like this and the other turkish towels I ordered in different colors. They look great and seem to be decent enough quality. Maybe it was my lack of knowledge about this style of towel - while they are certainly generously sized, they seem to be a bit thin to me. This is fine for us, but for the price I'm not sure I would recommend if you are looking for something plush for the poolside. 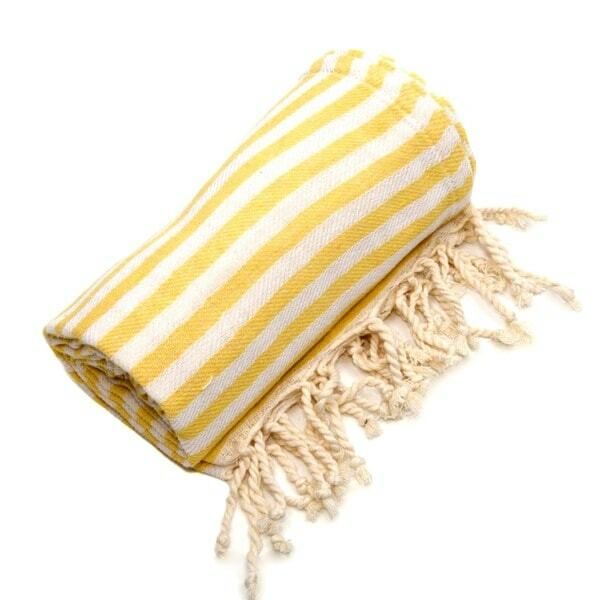 These are great for gifts, throws and beach cover ups. I have them in several colors. Easy to clean and soft. Lovely towel. I have two others in a different color and they hold up very well! Nice as a tablecloth, not so much as a towel.